Smooth performance at a great value. 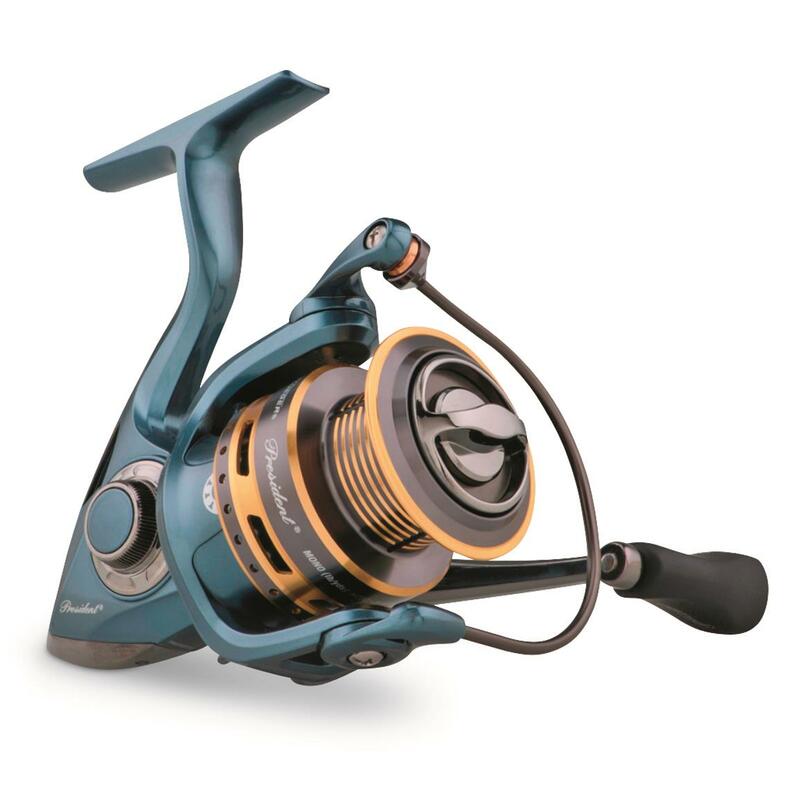 Salute to the President® Spinning Reel for its everlasting durable and reliable performance on the waters. 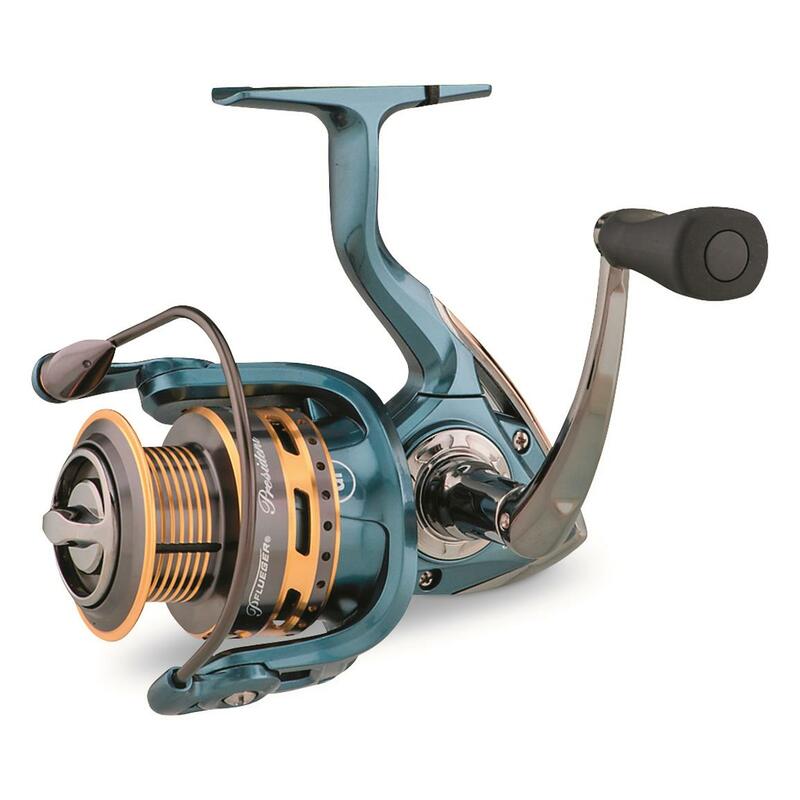 The Pflueger® is considered by many to be the best overall freshwater reel you can get for this price range. You'll come to appreciate its heavy-duty solid bail wire and spring assisted click open/close. The braid-ready spool makes it a breeze to load with nearly any type of line. Plus its curving knob handle results in a stellar transfer of rotational force. 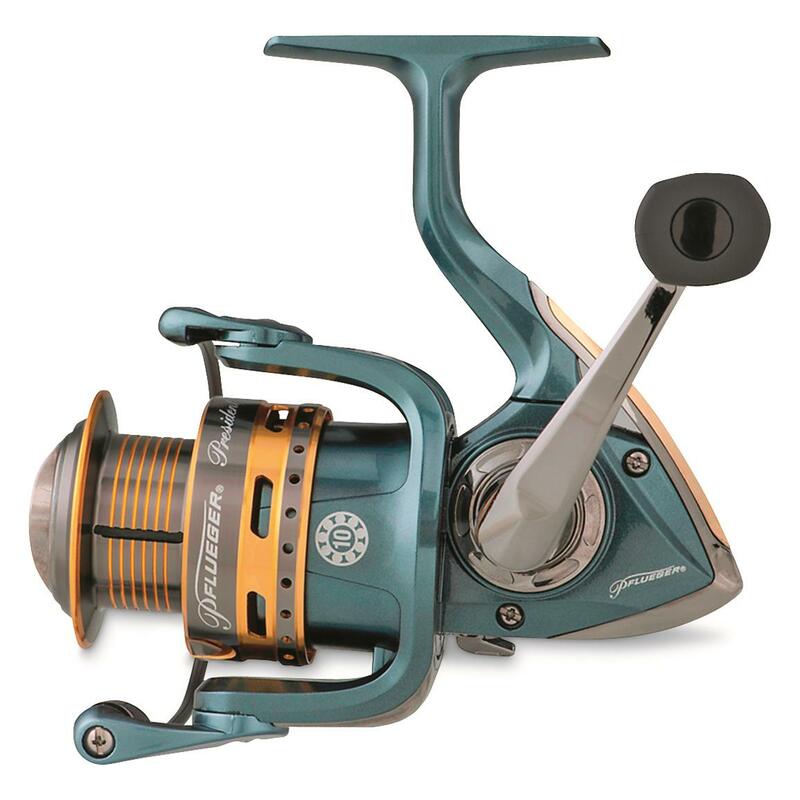 Pflueger President Spinning Fishing Reel is rated 4.9 out of 5 by 43. Rated 4 out of 5 by jerspi from Almost wonderful. I am a President fan since I pulled in a 50+flathead on 12 lb. Test with one. Smooth and accurate cast. My complaint is, the handle unscrewed and fell out in the woods. The company said they dont have handles to replace. I am confused by this since they still make them. Then the bail snapped the plastic bail holders while in my fish bucket somehow. I am very careful with my gear so not sure how it broke. I bought a supreme and will see how it goes. Cheap plastic is the bane of humanity. Rated 5 out of 5 by Dalan Id from Great reel, dependable, high performance, and for I have 6 reels from the 30 to 45 models and all perform anazing! You won't be disappointed! Rated 5 out of 5 by Phil M from Can't imagine a better value. The quality of this reel seems to be top notch. Smoooooth. I am no expert by any means but I can't imagine what would be different about one that costs three times as much. I wouldn't change anything about it and would buy three of these before spending three times as much on one and have em all going at once. With permit of course. Rated 5 out of 5 by Taggy from Quality that will never let you down. I owned Pflueger reels for years with no problems. Great product. Rated 5 out of 5 by Jessie from I have 3 off these reals thatcIvuse for ice fishing. I absolutely love them. Yah, I know, what do I need such a quality reel for ice fishing?Well, let me tell you, I don’t need to be messing with a cheep real, while ice fishing, just like when I’m summer fishing out of a boat. There is nothing better, than a high quality reel when fishing any time of the year. I will be buying larger reels from you guys for summer fishing.By the way, I’ve ice fished with 2 of your 20’s , for 3 years. Absolutely no problems. Love them! Keep up the good work! Keeps fishing from turning into work. Precision at the flick of your wrist. Over-sized spool delivers over-the top casting distance. Cast Smoke into your fishing hot spot.